A top official of General Motors said Tuesday he remains optimistic about crucial wage negotiations this week that could decide the fate of GM's South Korean operations. Executive Vice President Barry Engle said "yes" when he was asked whether he is optimistic about wage negotiations set to resume between GM Korea Co. and its union at 10 a.m. on Wednesday. "We are committed to staying here in Korea, but time is short. We need all stakeholders to act with urgency," Engle said in a brief comment to Yonhap News Agency after a closed-door meeting with Hong Young-pyo, a lawmaker of the ruling Democratic Party who heads the party's task force on GM Korea. Engle also described his meeting with Hong as being "very positive," though he did not elaborate. 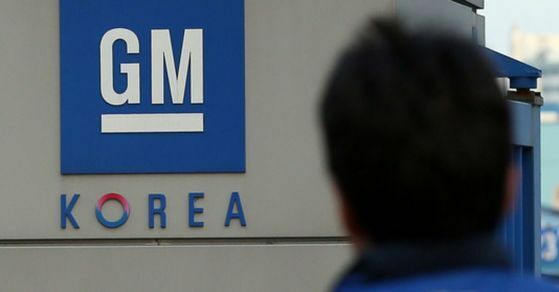 His comments came amid concerns that GM Korea may file for court receivership unless GM Korea and its union reach a wage deal by Friday, the deadline set by General Motors. The two sides are at odds over a drastic package of self-rescue measures that call for, among other things, a sharp cut in welfare costs. The company said it sets aside about 300 billion won (US$280.8 million) for welfare of its workers per year, but now it wants to trim this by 100 billion won, according to a company official, who asked not to be identified. "We are working to produce a deal, though there are differences," the official said. The labor union, meanwhile, secured the legal rights to go on strike on the same day as the National Labor Relations Commission decided to suspend arbitration between the two parties. Repeated calls to the union spokesman seeking comment went unanswered. GM Korea needs about 500 billion won by the end of April to cover severance payments and other expenses. Some 2,500 employees recently applied for voluntary retirement in exchange for severance pay and cash payments equivalent to several years worth of salary.